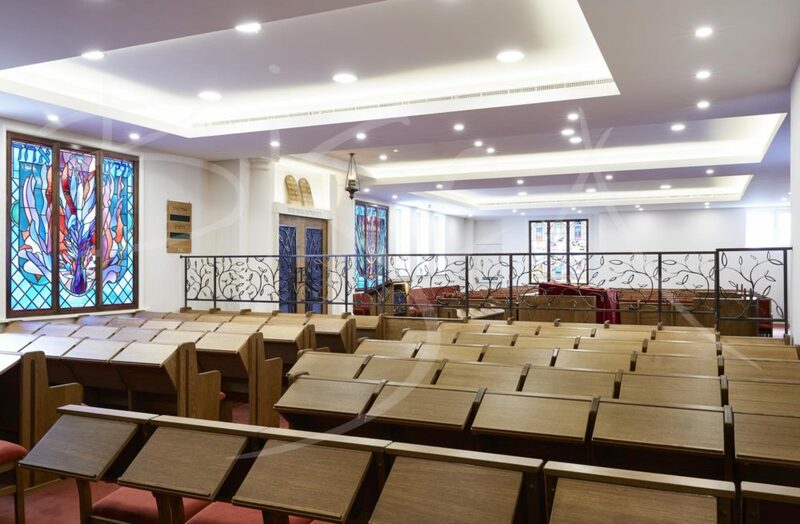 Mechitza Screens for Highgate Synagogue. 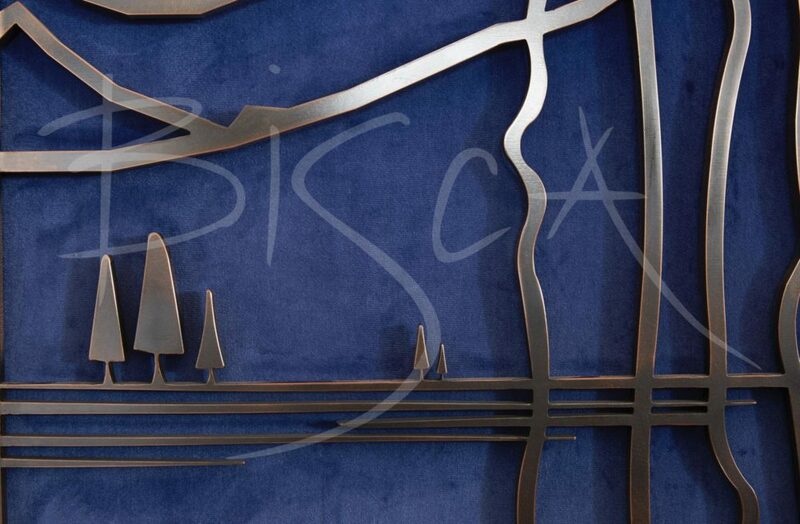 Bisca’s brief was to create bronze panels forming the Mechitza screen at Highgate Synagogue. Unfortunately, the original design, proposed by a third party, proved structurally unstable. As a result, Bisca modified the design to improve stability, whilst working in partnership with the joinery supplier. As a result, both companies had a clear understanding of requirements for the design and fixings. Our blacksmiths produced many samples and variations of finish for the client to review. The sample chosen was an aged bronze which gives a bronzed copper appearance. 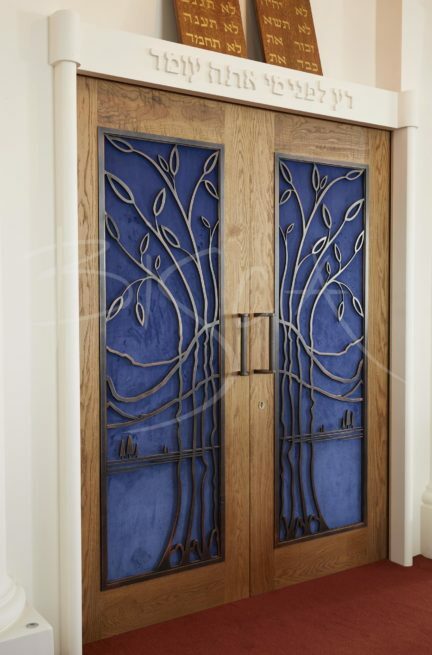 The design of the door panels, also brought to life by our Blacksmith, represents the Tree of Life. For ease of future dismantling and reconstruction, bespoke fixings simply bolt the panels together. 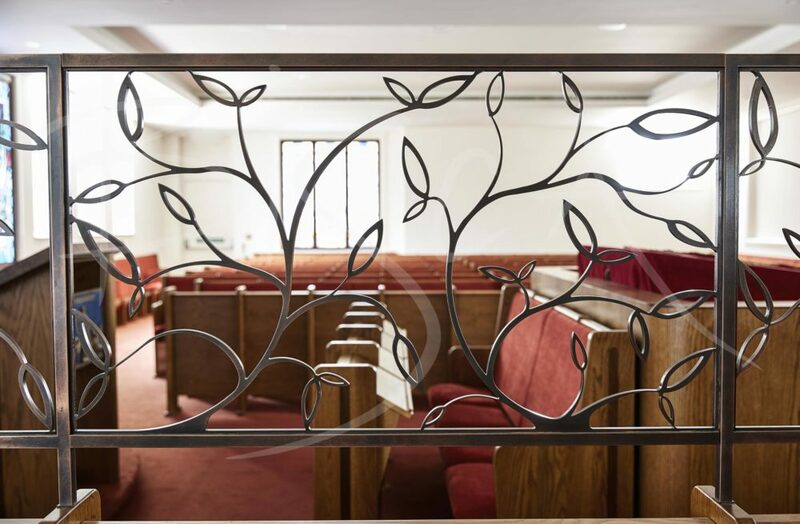 Finally, the screens and panels were installed by our craftsmen and blacksmith. To discuss your bronze or specialist finish metal project, please contact our sales team.